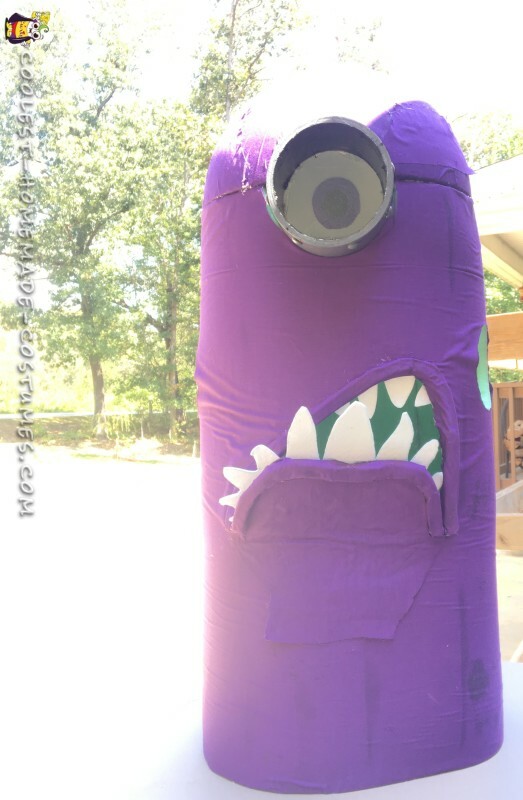 My son wanted to be an evil purple minion costume for Halloween, so mama couldn’t disappoint! 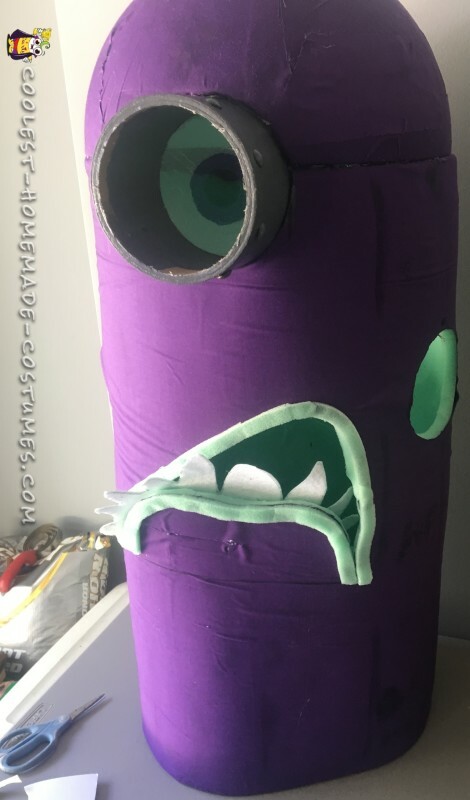 So, this handmade costume took about 16+ hours. Most of the time spent creating it was making templates and doing trial runs. 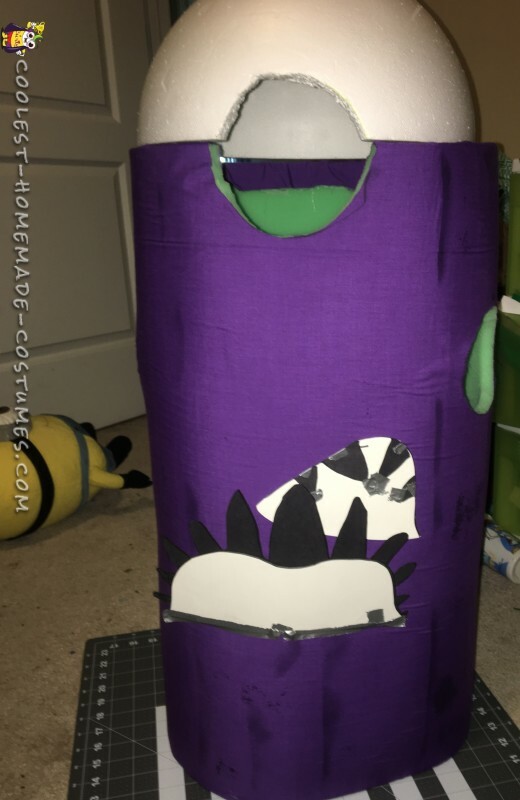 *Project foam (I went to Joann’s and measured the size I needed WITH SOME EXTRA). 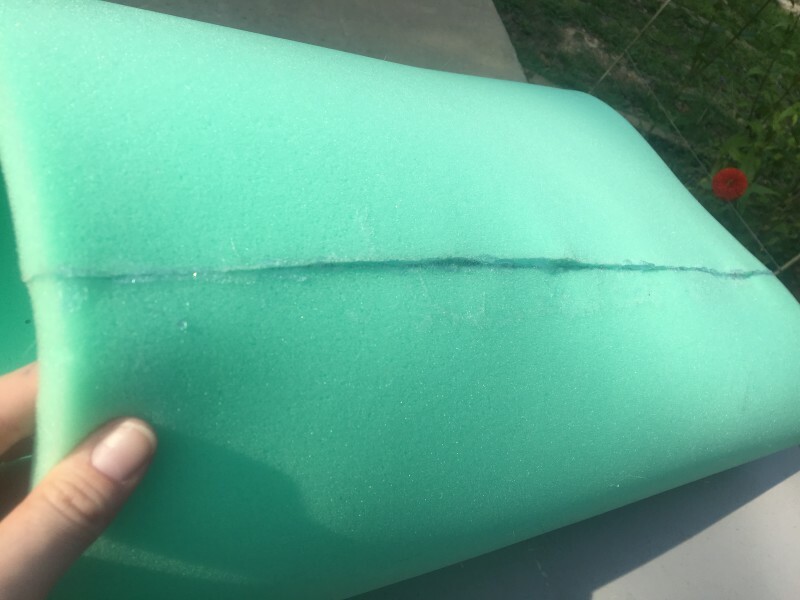 *Spray adhesive glue – like this one pictured. **you may choose to use something else as I did not like how this sprayed on. *Very loose yarn – see pictures above. *Cardboard Circle (I found one from a generator box at the bottom). 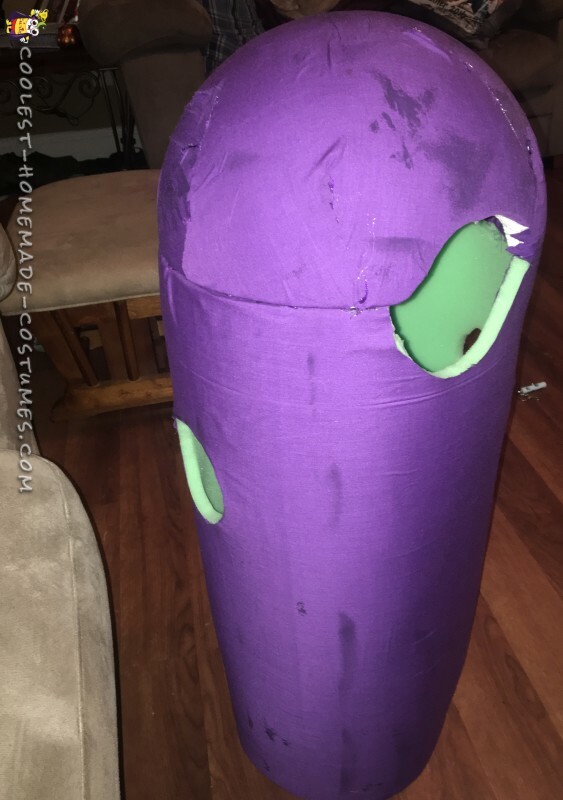 The body was made by gluing foam together, covering it with fabric, cutting the arm holes and eye holes, and then adding the dome head and covering with fabric. 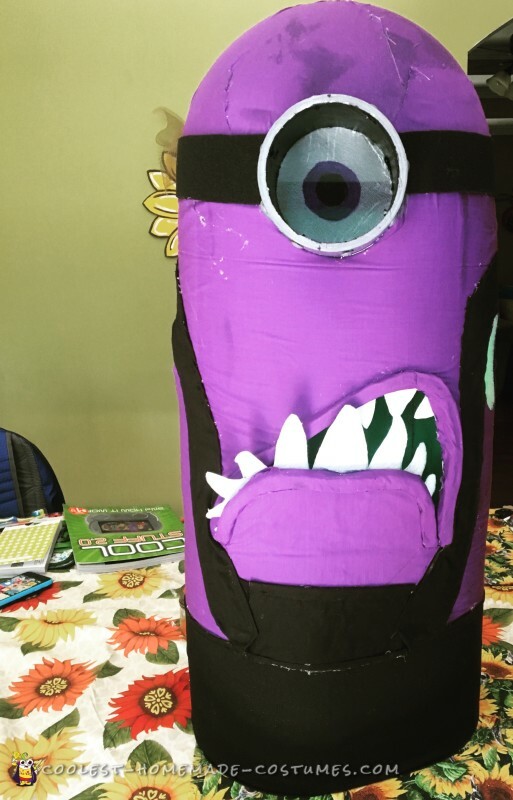 In order to make the eye/goggles, I used the material above and put together. 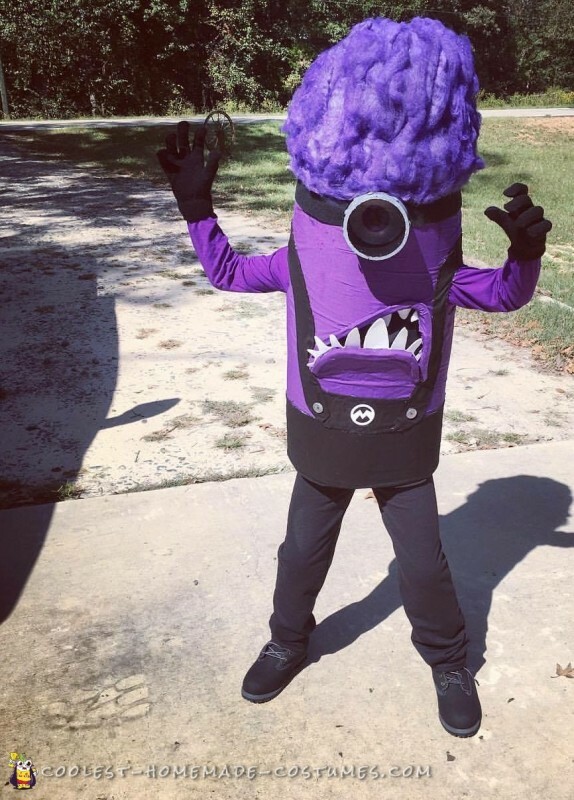 The hair was made with brushed out yarn and hairspray and then purple hair spray color to make it look darker. **this actually took A LOT of time to get just right. In addition, we bought a black shirt, black pants, black gloves, and black boots for the rest of the costume. My son loves it!! He even helped some with it and was so excited when it was finished. 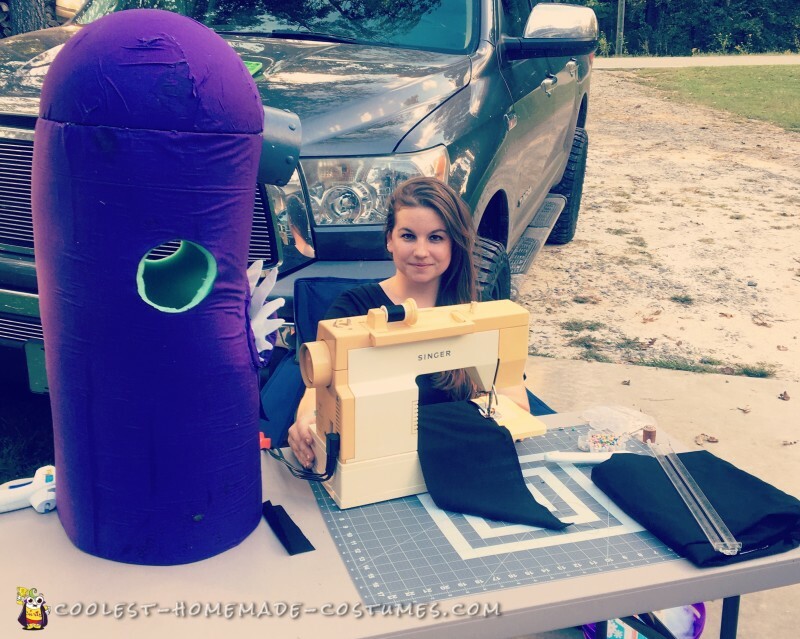 So, this homemade costume ended up being very mobile and easy to see from! 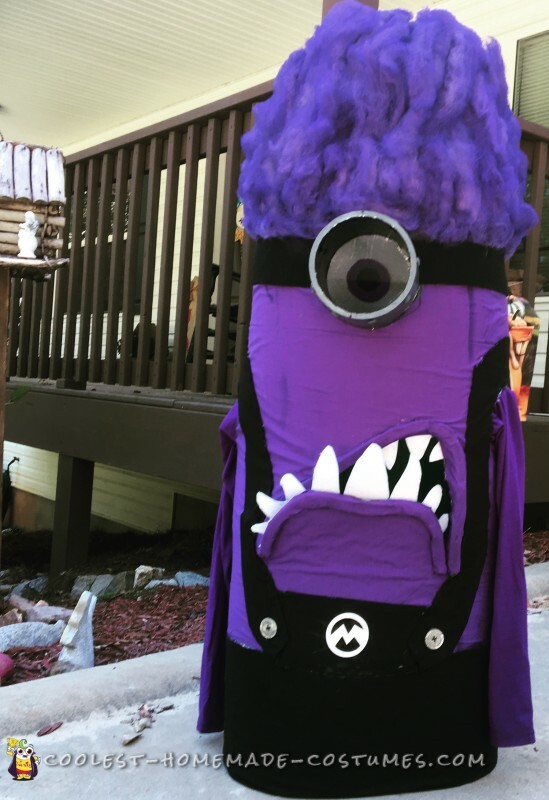 Our little evil minion is super excited for Halloween! !